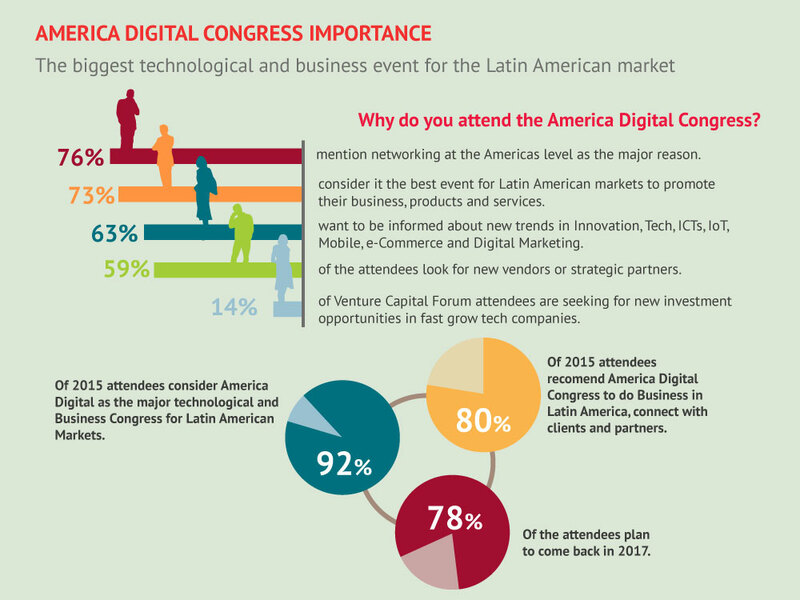 The 5th America Digital Latin American Congress of Technology brings together more than 5000 executives and professionals from 22 countries that require tech solutions for their business processes. Attend the event and you’ ll be able to connect with peers, extend your network, learn about new trends, get to know leading companies in the region, update knowledge, connect with clients, suppliers, potential strategic partners, and advance in your professional development. Directors, CEOs, CMOs, CTOs, general managers, area managers and executives requiring suppliers, explore new trends, update knowledge, strategic alliances and acquire new solutions to optimize management processes, communication, marketing and sales of their companies. Companies in the areas of information technology (IT), communication, marketing, advertising, and commercial, seeking knowledge, networking, clients and new trends. Professionals in the areas of information technology (IT), communication, marketing, advertising and commercial seeking knowledge, networking solutions and new trends. Business executives interested in expanding from Chile to Latin America and search for strategic partners to channel its expansion in the region. 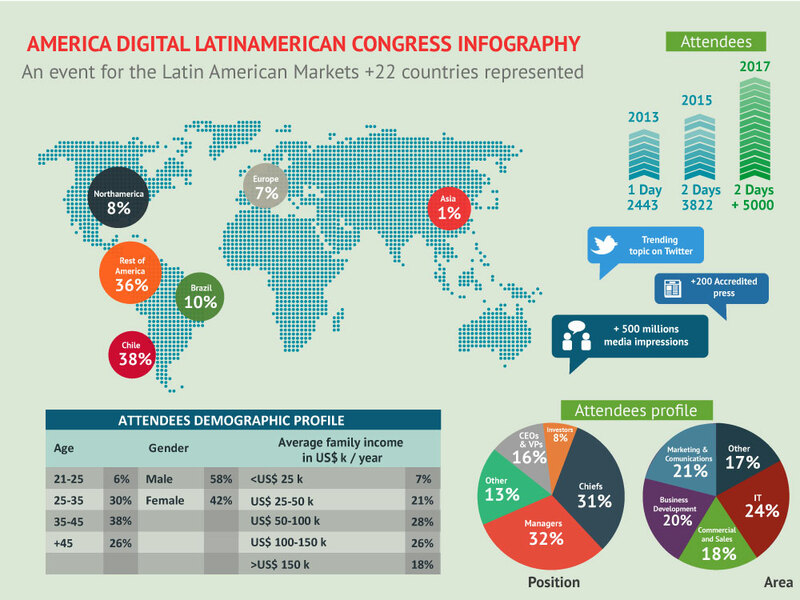 Advertising agencies, marketing, digital marketing, online media, ad networks, audiovisual online, technology suppliers, application developers, who want to network in Latin America and globally. Investors and industry professionals interested venture capital companies in emerging markets and high impact. High-impact entrepreneurs looking first and second rounds of investment.